Foam rollers – they’re everywhere! You’ve seen them in gyms, physical therapy clinics, and on the sidelines of professional sporting events and marathons. But what exactly do they do, and how do they work? Foam rollers are dense pieces of just that – foam – that are generally cylindrical and used to massage muscles on the body. They can range in size and texture; some have knobs, while others are smooth. Lastly, their density can change. Less dense foam rollers are softer and often less intense than high-density options. Foam rollers are a great tool that can be used in place of most hands-on massage work for sore, tight, or achy muscles. Foam rollers are placed underneath the muscle, and the user simply uses his or her body weight to press the muscle into the roller. The result is a convenient massage and treatment on the go! Foam rollers are a great option as well if your muscles are feeling tight. 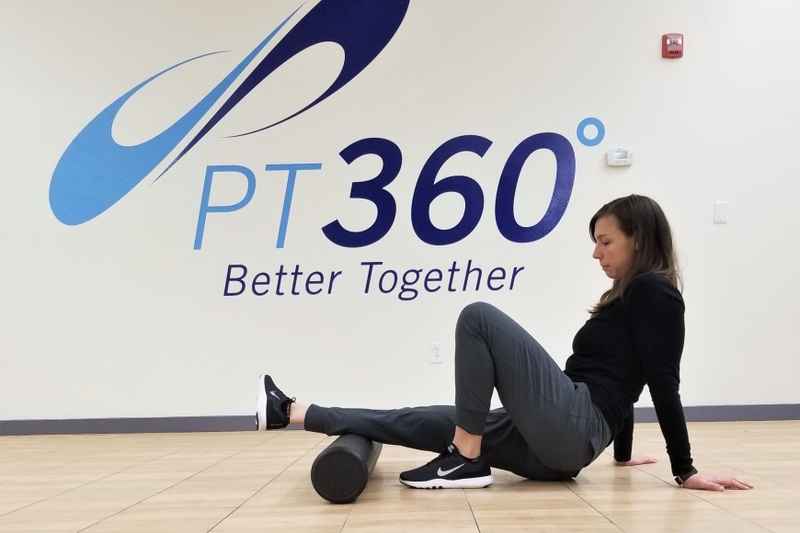 Often times, you’ll not only see athletes using foam rollers after intense workouts to relieve aching muscles, but before workouts to help feel more limber and ready for activity. The human body as a whole is a pretty amazing machine, and our muscles are no exception. Every muscle in your body has a variety of sensors that let your brain know when that muscle is being stretched and when it is being put under pressure. When a muscle sensor thinks the muscle is at risk, it tells the muscle to clench, or contract, to protect itself from injury. Much of the latest research suggests that muscles aren’t necessarily tight because they are any shorter than they’re supposed to be, but because the sensors in the muscle are in a constant state of being “turned on.” The result is the feeling of tight and clenching muscles – when in reality, they’re not tight at all. Foam rollers turn these sensors in the muscles off, decreasing tightness and improving mobility. I’ve Got One! Now, How Do I Use It? Be sure to spend at least 60 seconds on each muscle. Spending 1-3 minutes per area is helpful. Never use a foam roller when you’re dehydrated! Muscles are like sponges; massaging a dehydrated muscle is like trying to wring out a dry sponge. Never foam roll over bone. Stick to the soft tissues! Foam rolling involves pressure on the muscles. At times, this may be uncomfortable, but it should never be extremely painful. If you cannot breathe normally through a session of foam rolling, you are using too much pressure. Check out our monthly newsletter for great examples of lower leg rolling! You can find foam rollers at most stores or websites that sell fitness equipment. If you’re looking to shop close by, all of our PT360 locations carry a variety of densities and lengths in stock! Sign up for our quarterly newsletter which highlights many of our services and products, such as the foam roller.